“My time at EVST was book-ended by my mother’s death at the beginning of my first semester and my father‘s death at the end of the last semester,” M told me. “When I got to EVST I didn’t know anyone but what I found here was an amazing community.” M recounted how her mother died suddenly and unexpectedly in her first week at EVST and she was devastated. “I was trying to cope with my mother’s death and Phil encouraged me to write about it. He gave me the method to find my voice. It was a powerful channel for my grief,” says M. “What I recognized was that the language I used to write about the loss of my parents was the same language I used to write about the environment. Before coming to EVST, I was in the Peace Corps in Zambia and I was just starting to think about studying science—the language of how to measure and monitor things. 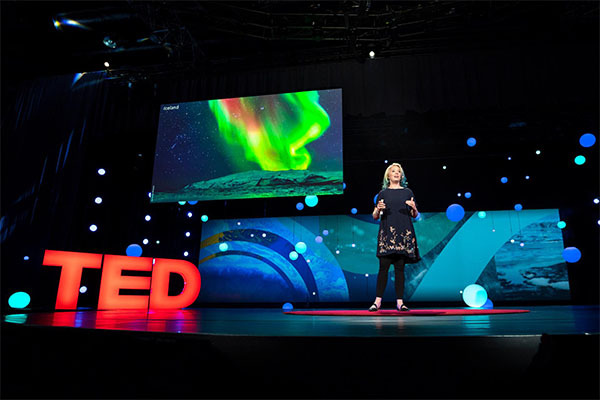 But it was EVST that taught me what questions to ask—questions I kept asking all through my Ph.D.” After her MS from the University of Montana’s EVST program, she earned a doctorate from the University of Oregon where she examined how climate change transformed people and glacier communities in Iceland. Halfway through her graduate degree in EVST her father got diagnosed with terminal cancer and again Phil said, “Write about this…explain what is happening to you.” M said, “That arc—my first book—was very hard, but it put me on the map and it was Phil and Professor Dan Spencer that made it okay to do that.” According to her website, her memoir, While Glaciers Slept: Being Human in a Time of Climate Change, (2015), weaves together the parallel stories of what happens when the climates of a family and a planet change. This experience, she says, changed the questions she could ask. When I asked her for an example, she drew on her experience directly after EVST, when she completed a U.S. Fulbright grant in Turkey. “When I was in Turkey, I was looking at the area’s glaciers, and it felt natural to me to ask people living near ice all about their perspectives. There was one woman there who talked about the ‘evil eye’ (those blue talismans you see everywhere across the Mediterranean). They divert evil and protect you. She told me how the bright blue in a glacier is like the evil eye, diverting evil and protecting all of us. But now, the glaciers are breaking and releasing all that evil back out into the world. Some people say evil, some people say greenhouse gases. 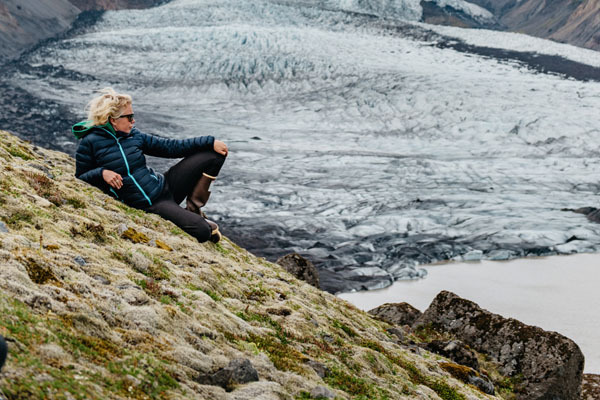 Had it not been for my experience with EVST I would not have known how much these stories matter and pursued them.” In her 2019 book, The Secret Lives of Glaciers, M explores the profound impacts of glacier change on the human and physical geography of Iceland. She is currently at work on a multi-year, multi-disciplinary project called In Tangible Ice, partnering with explorers, filmmakers, and scientists that examines the socio-physical dimensions of glacier retreat in near-glacier communities within all eight circumpolar nations. In February, M received a Grizzly of the Last Decade Award that honors outstanding University of Montana alumni who have graduated within the last decade. Upon receiving the award M wrote to the EVST faculty, “I just wanted to extend a heartfelt thanks to all of you at EVST for continuing to believe in me and support me. I would not be the person I am today, nor where I am in my career, if I did not have two years of EVST to light a fire in me and give me the confidence, research skills, critical thinking, and community to write with. I'm very grateful for this program. Thank you.” Dr. M Jackson is also the recipient of three U.S. Fulbright grants, a U.S. Fulbright Ambassadorship and several other awards and grants.